The Minnesota Vikings and new head coach Mike Zimmer have made another staff addition. 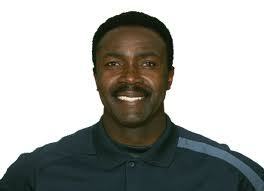 The Vikings have hired former Tennessee Titans defensive coordinator Jerry Gray as the team’s secondary coach. The story was initially broken by Alex Marvez of FOX Sports. Wednesday proved to be a good day for both Gray and his former teammate/colleague Mike Munchack who also found work today being hired as a position coach. Munchak was hired by the Pittsburgh Steelers to coach the offensive line. Gray and Munchak were released from the Titans after another losing season. Gray has never worked with Zimmer before, however, Gray has coached the secondary for the Seattle Seahawks and Washington Redskins in recent years. The 51-year-old coach was a four-time Pro Bowler back in his playing days as a defensive back.